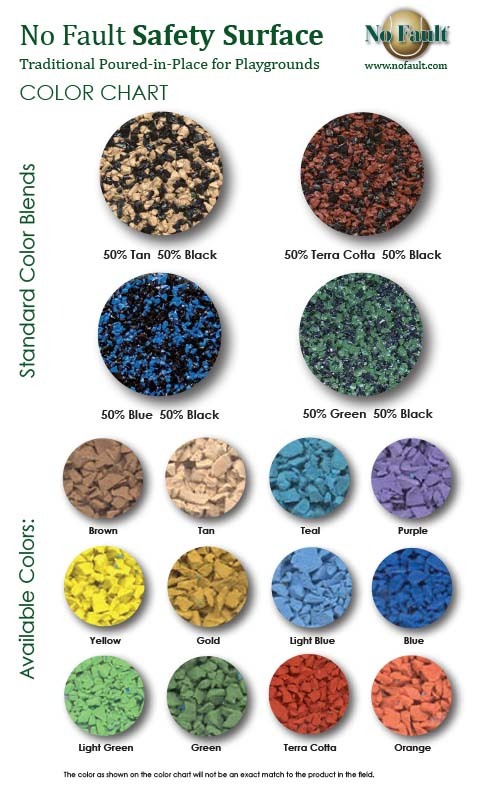 No Fault playground safety surfacing is a unique combination of EPDM/TPV rubber granules and a cushion layer of shredded recycled rubber tires utilizing a European polymer that is poured in place on-site, providing a seamless surface for endless applications. This poured in place rubber playground surface provides critical fall height protection for children on playgrounds. Shock absorbing surfaces can help disperse the momentum of a falling body or head, thus reducing the risk of life-threatening injuries. No Fault Safety Surface can also help your school or park achieve creative designs with patterns and graphics that other safety surface materials cannot. Our installation process comes with materials and installation most anywhere in the country and backed by a full warranty. No Fault Sport Group is the originator of the poured-in-place playground surface. As innovators in flooring products, we’ve poured thousands of projects for clients utilizing our Safety Surfacing. 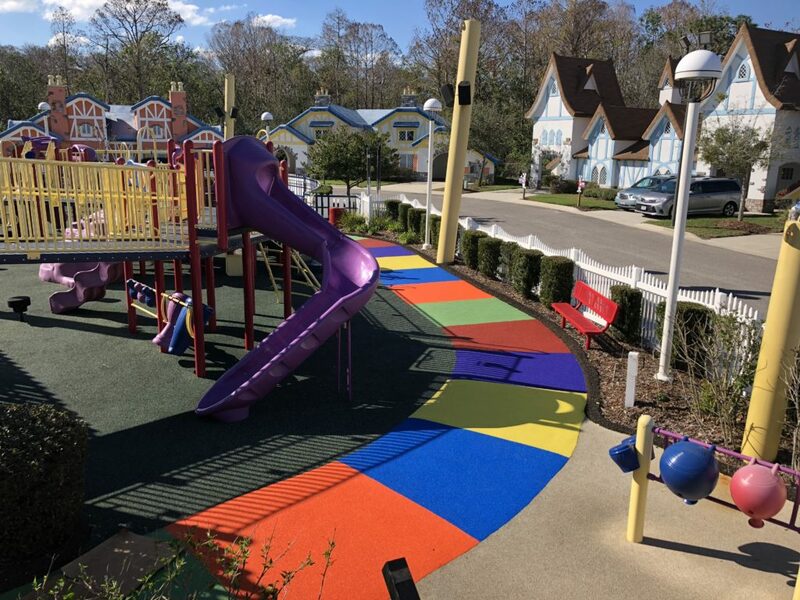 With clients including McDonald’s, Walt Disney World and Universal Studios – our innovative surfacing has helped to create safe playground environments around the globe.